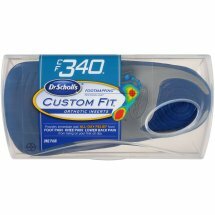 Our Custom Fit® Orthotics recommendation for you is based upon your unique foot profile, as measured on the Dr. Scholl’s® Custom Fit® Kiosk. Don’t know your number? Visit the Dr. Scholl’s® website to find a Kiosk near you.